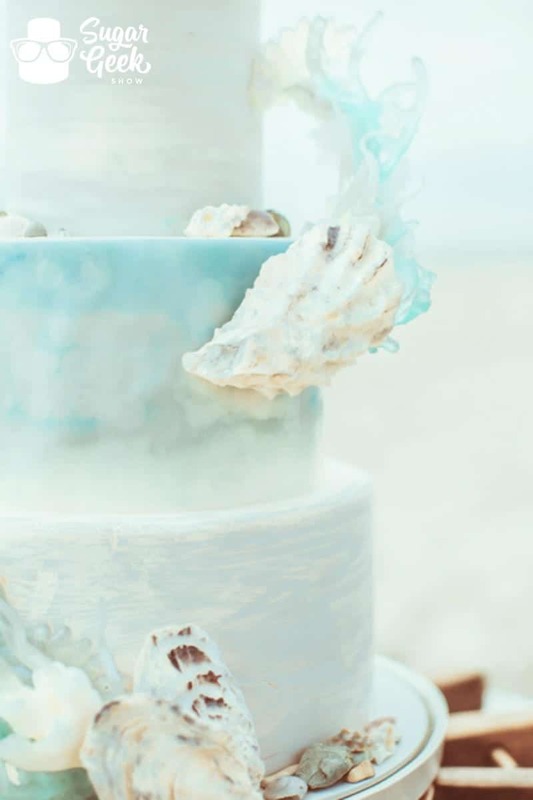 These gravity defying wedding cakes are so stunning they will stop you in your tracks. They seem to make time stand still for just a moment while the world goes on around you. Who doesn’t want that at their wedding? Well, I mean it might take a little attention off the bride but hey, having anything memorable at a wedding is still a good thing right? These are cakes people will be talking about years after the wedding. 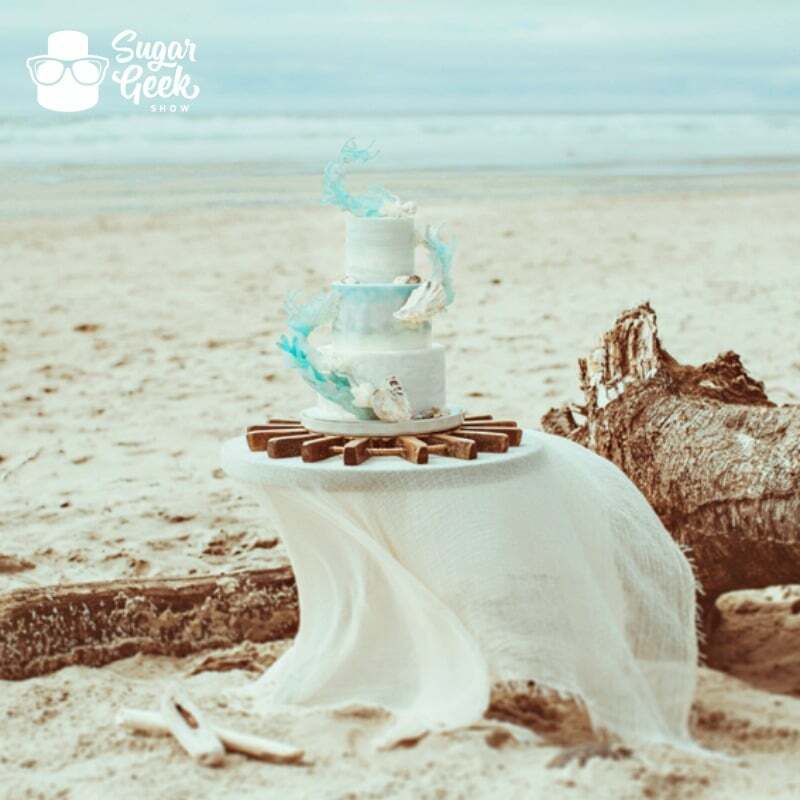 The first cake is a lovely beach themed cake Liz created for a styled shoot. The cascading splash of “water” is a sight to behold. I literally can’t stop staring at it and I really need to finish writing this post. 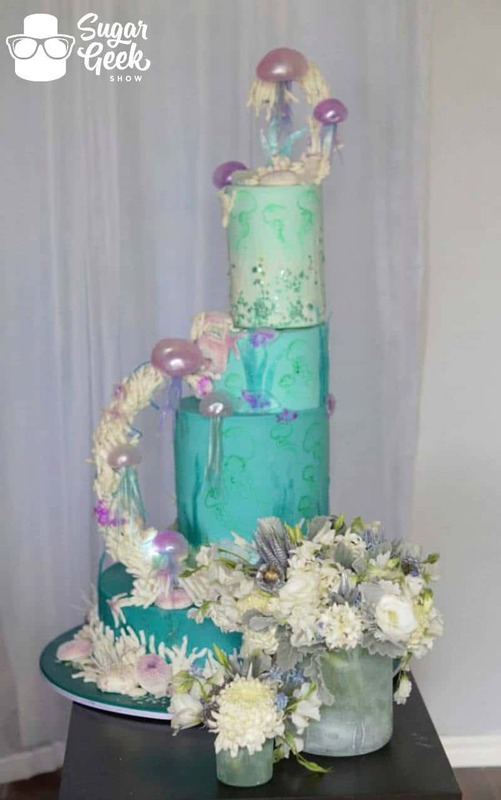 The next cakes not only are gravity defying in their design but also have a unique asymmetrical thing going on and I LOVE it! I love when things aren’t perfectly uniform. So much more interesting don’t you think? 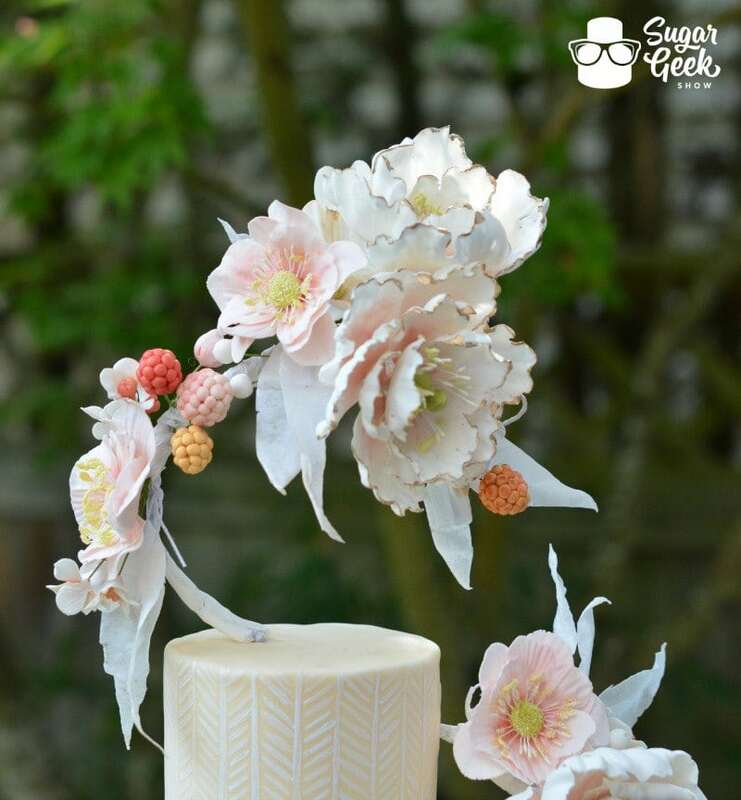 This cake was created for Portland’s Bride and Groom Magazine. 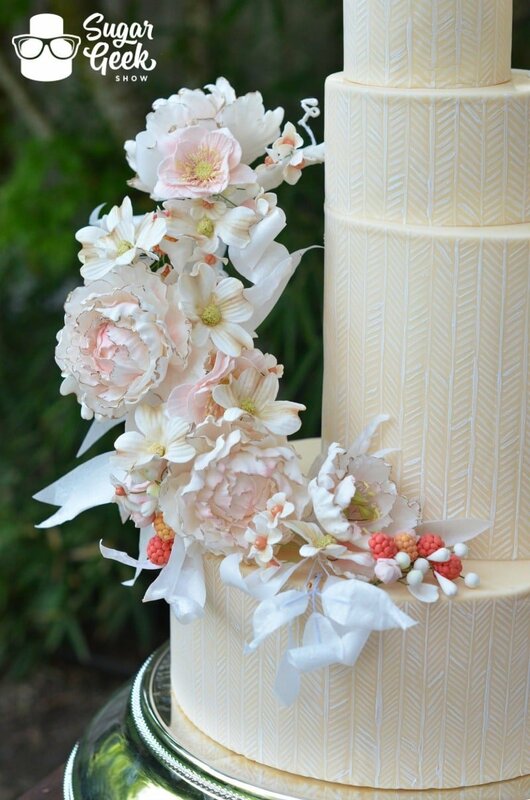 It has sugar peonies, wafer paper leaves and gum paste berries suspended on a gravity defying vine. 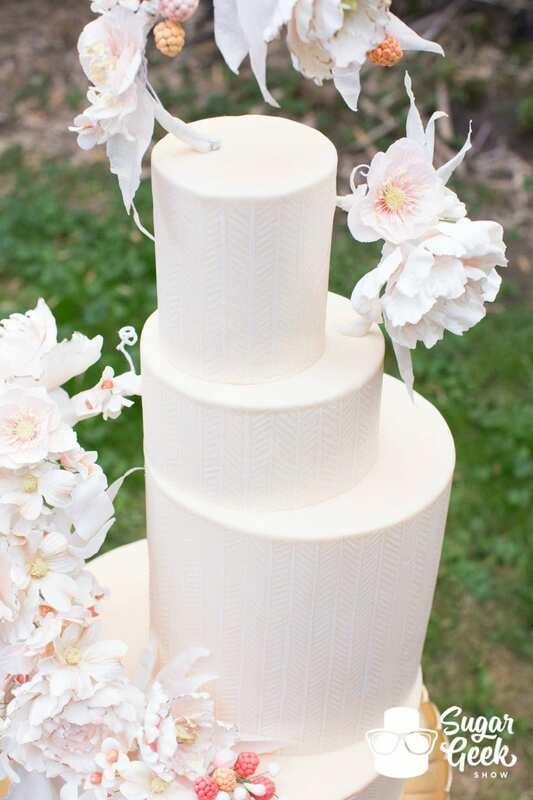 There are hundreds of hand painted lines using edible white food color to make a herringbone pattern. Can you imagine how long that took?! I mean really. The focus though is on that gorgeous gravity defying vine of flowers. I mean WOW. 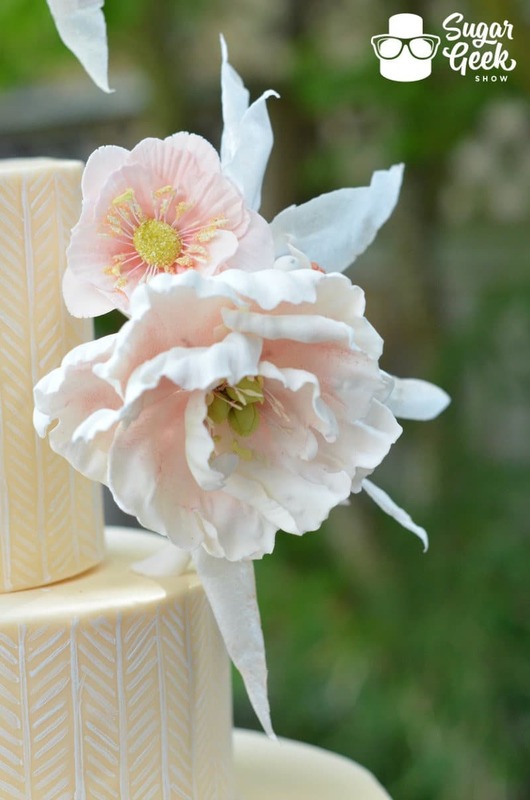 Cascading flowers on a wedding cake are lovely and will always be timeless but making the cascade defy gravity takes the cake to a whole new level! 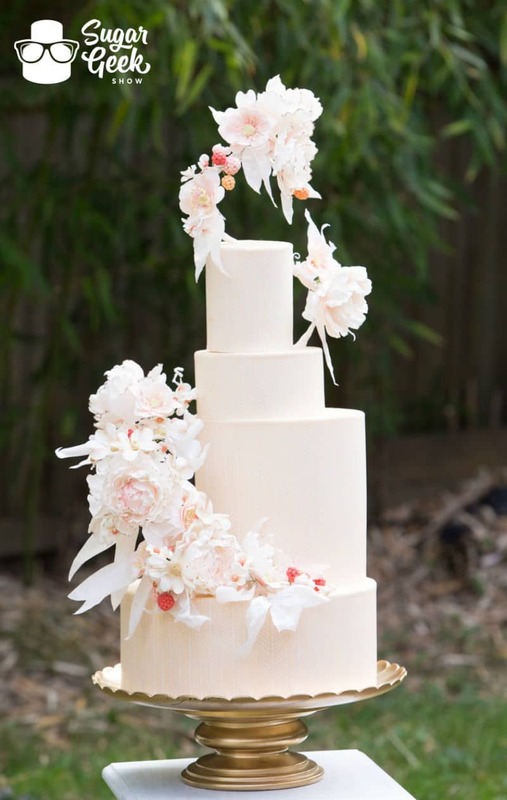 This cake was featured on the Food Network’s show Outrageous Wedding Cakes and for good reason. 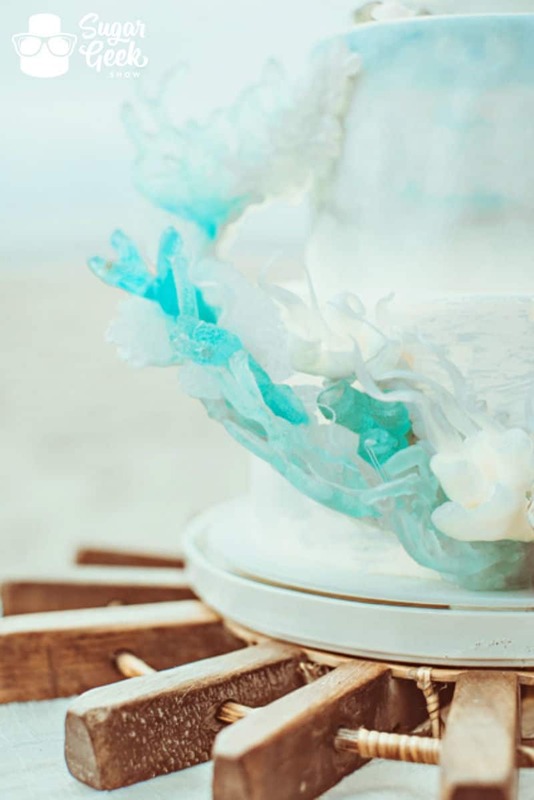 Jellyfish are most definitely a different choice for a wedding cake but how amazing did it turn out? 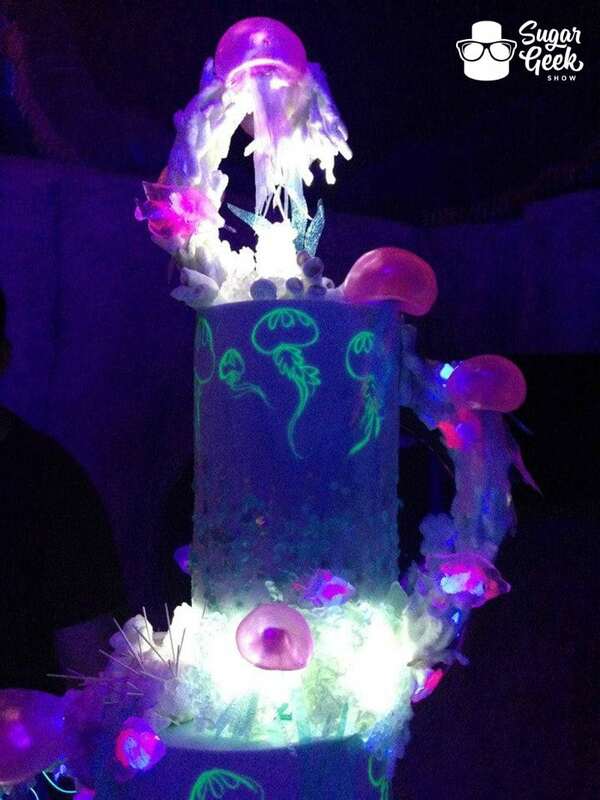 Gravity defying Jellyfish that glow in the dark, now that’s outrageous, in a good way. 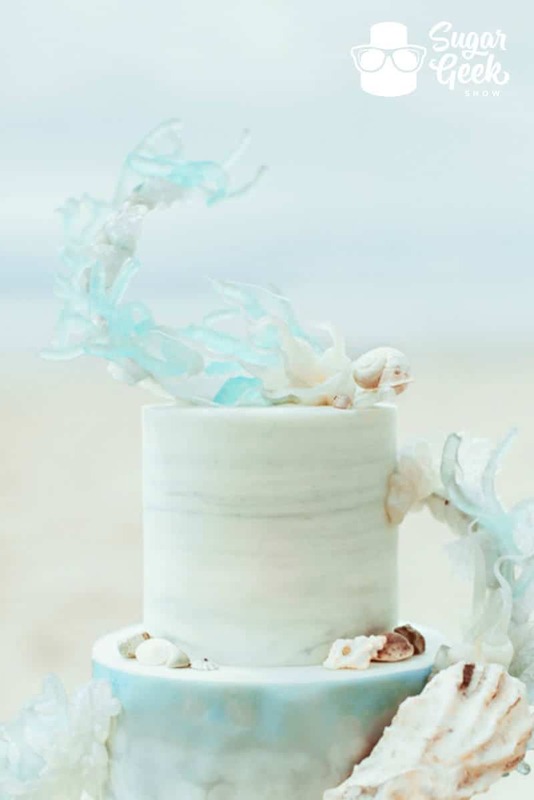 What you do you think about gravity defying, asymmetrical wedding cakes? 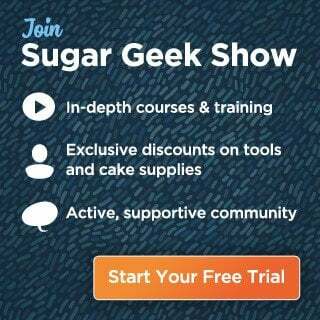 Is that something you’d like to learn in a future tutorial on The Sugar Geek Show? Let us know! I think they are the wedding cakes of the future and we should all jump on the bandwagon now. Check out the episode of Outrageous Wedding Cakes Below to see Liz in action and this incredible cake come together.